With no top media agency CEO roles in market at the moment, and given Brooks' lengthy stint in this area, it's likely he could look to fully exit the media world. He may well be lured in by a consultancy or tech giant. KMPG hired Zenith MD Karen Halligan in February; PwC poached OMD head of strategy Ben Sheperd in June last year and Facebook hired Carat Sydney MD Dan Sinfield in November. 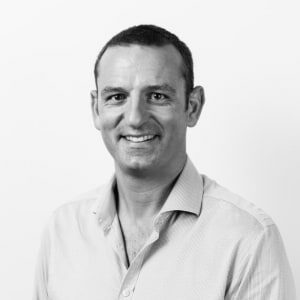 Prior to DAN, British Brooks was a chief investment officer at MediaCom Sydney - having moved over from Mindshare London. Over the past 12 months Carat was hit by the major global account loss of Mondelez, which is thought to be worth about $40 million. It also lost Adidas as part of a global review, which is thought to be worth up to $2 million. Both losses proved wins for GroupM agencies Mindshare and MediaCom, respectively. However, the agency has also scooped up smaller Australian businesses including Beacon lighting and Grill'd, while retaining accounts such as L'Oreal, Microsoft and the Western Australian Government, despite IPG Mediabrands' Initiative also winning a share of the account. Last month the $18 million Disney account moved from the agency and into a bespoke model similar to its Woolworths team. Carat Australia CEO Paul Brooks has resigned from his role after two years with the business. Brooks took over the top job at the Dentsu Aegis-owned agency in September 2016, following the promotion of Simon Ryan to CEO of Dentsu ANZ. In a statement to AdNews, Dentsu confirmed Brooks' departure, adding that the Carat executive team will take responsibility for the businesses strategy and direction, in the short term, reporting to Ryan. An announcement regarding the new Carat CEO ANZ will be made imminently. “We would like to thank Paul for his commitment and service over the past five years and wish him all the best for the future,” Ryan says. Brooks joined the Dentsu Aegis Network (DAN) agency in 2014 as chief investment officer officer of Carat, before moving into the same role at DAN investment arm Amplifi. 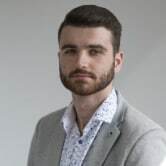 “I would like to thank Dentsu Aegis Network and Simon Ryan for the opportunities and roles that have presented in my time here and I wish them all the best for the future. I believe now is the right time for me to pursue new opportunities and take some time off to consider my next move," Brooks said in a statement to AdNews.